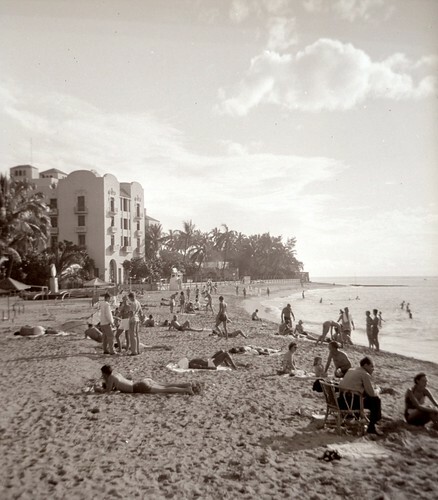 A beach scene from Hawaii, likely during World War II. 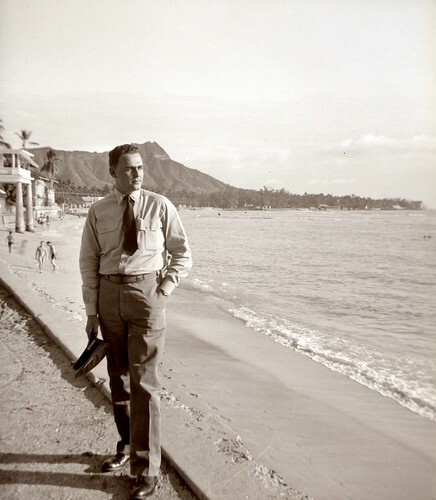 A serviceman posing with Diamond Head in the background. Again, probably around WWII.